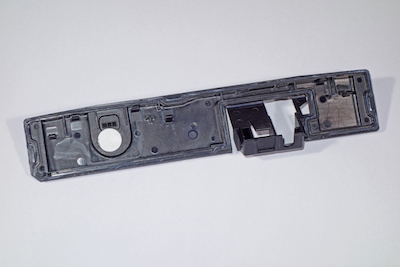 Laser transmission welding is becoming increasingly established in the commercial production of complex shaped plastic parts for the automotive, electrical/electronic, IT, and consumer industries. Materials supplier Lanxess is therefore expanding its range of laser-transparent polyamide (PA) 6 and PA 66 as well as PBT compounds (polybutylene terephthalate) for this forward-looking technology. “With these new products, we are primarily targeting the growing demand for housings for sensors, control units, and display systems, for example, which are needed for electrification of vehicle drives and for applications in driver assistance systems through to autonomous driving,” explains Frank Krause, welding technology expert at the High Performance Materials (HPM) business unit at Lanxess. All new compounds are characterized by a high degree of transparency for light from the near infrared range that is commonly used in laser transmission welding. In the procedure, a laser beam is sent through a laser-transparent component and absorbed by a second, often black-pigmented component below. This generates heat that melts the surface of the second component. The surface of the first component also melts through heat conduction, so that a material-joining in the form of a weld is created between the two components. The process has several advantages. It is easy to automate and, compared to vibration, ultrasonic, and infrared welding it is thermally and mechanically less stressing. It allows the joining of 3D contours and hard/soft material combinations. Depending on the size of the component, the cycle times are considerably less than 30 seconds, and the welding flash is extremely low if present at all. In addition, welding seams are created without lint. This means, for example, that welded liquid containers do not have to be washed out for cleaning after production. One highlight among the new compounds from Lanxess is the halogen-free flame-retardant Durethan AKV30FN04LT. The light transmission for this PA 66 is comparatively high in the wavelength range usual for laser welding at wall thicknesses of up to 1.5 mm. “The heat input at the boundary layer is thus fast, so that the joining area also melts quickly, which makes economical production possible,” says Krause. The compound shows a very high tracking resistance and achieves the best classification of V-0 (0.4 millimeters) in flammability testing pursuant to the United States’ UL 94 (Underwriter Laboratories Inc.) standard. Its flame-retardant package is optimized with regard to its thermal stability. Injection molding therefore involves a considerably lower risk of deposits forming on the mold surface. The compound contains a heat stabilization system that does without metals and halides. As a result, it has a low tendency to contact corrosion when in contact with conductive parts. This is important, for example, for components in high-voltage batteries or for safety switches. Three other new PAs have also been optimized for a low tendency to electrocorrosion. Durethan AKV25H3.0LT is particularly suitable as a material for components with high short-term thermal loads. The PA 66 is glass fiber reinforced and thermostabilized with a metal- and halogenide-free heat stabilizer. Durethan B31SKH3.0LT, on the other hand, is an unreinforced PA 6 and is predestined for components with high toughness requirements. Durethan BG30XH3.0LT is ideal for components that need to be particularly low in distortion and shrinkage – such as filigree electronics housings or connector strips. The PA 6 is reinforced with a mixture of glass fibers and microglass beads. Lanxess’ product innovations in polyesters are in the form of grades Pocan C1202LT and C3230LT. Both materials are blends of PBT and polycarbonate (PC). The proportion of amorphous PC results in excellent laser transparency even with thicker walls. The strength of the unreinforced Pocan C1202LT is its high toughness and low warpage. It is already being used in the production of a tailgate handle system with waterproof sealed electronics. Pocan C3230LT contains 30 percent by weight of glass fibers and is designed for applications that require good stiffness and strength – such as electronic housings. Despite the glass fiber reinforcement, it has low distortion and produces good surface qualities. In addition, new laser-transparent PBT grades with very good hydrolysis stabilization are well advanced in development. “These materials are a challenge because additives for hydrolysis stabilization usually reduce laser light transparency,” explains Krause. Potential applications for the new products are geometrically complex housings of sensors and control units in the engine compartment that are exposed to moist heat.